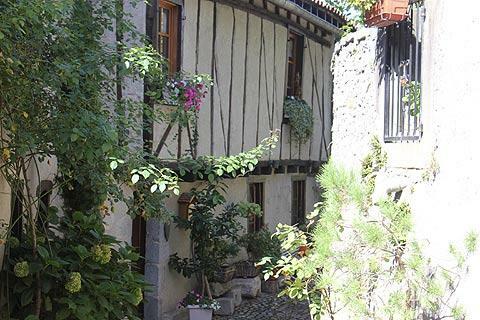 Saint-Lizier, on a hill above the River Salat just two kilometres north of Saint-Girons in the Ariege department, is listed as one of the 'most beautiful villages in France'. The village is dominated by the substantial 17th century Bishop's Palace. 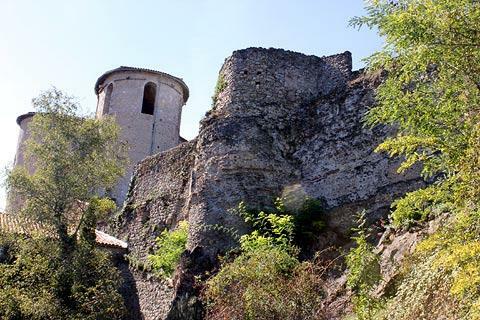 Saint-Lizier is a very ancient village, known to have been occupied for at least 2000 years, with evidence from both the Roman period and also from the centuries that followed when Saint-Lizier became an important religious centre for the region. As a result there are several interesting sites to discover here. Saint-Lizier falls into two quite separate parts: the lower part contains the old village around the Cathedral of Saint Lizier while the upper part, surrounded by ancient fortifications, includes the Bishop's Palace. 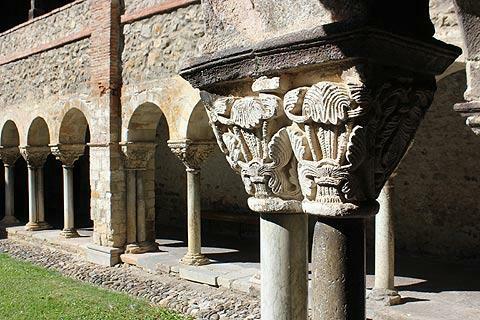 The highlight of the village is the Cathedral of Saint-Lizier, a small cathedral featuring an octagonal tower and attractive cloisters with a balcony and interesting carved stone decorations at the top of the columns. There are a large number of ancient (11th century) frescoes inside the cathedral. You can see the treasury of the Bishops of Couserans here in the sacristy, with some intricate silverwork and a bust of Saint-Lizier. Just outside the cathedral door you can also see one of the most interesting houses in the village, dating from the 15th century and with a great deal of colombage decoration to admire. Saint-Lizier tourist office (where you can get details about various points of interest in the village) is next to this house. 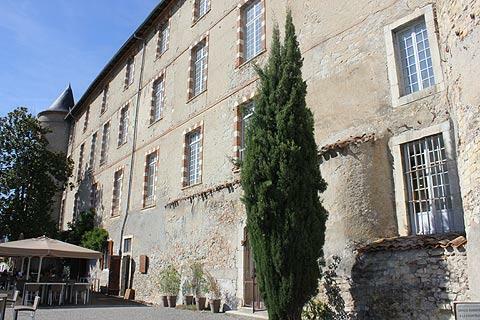 Also just around the corner you can visit the 18th century pharmacy in Saint Lizier to see various medical equipment and objects from that period - fascinating (found in the original hospital of the village, now a retirement home). To visit you will need to ask for details at the Tourist Office. Following the Rue de l'Horloge from here you reach the clocktower, built on part of the 4th century ramparts and next to the entrance to the older part of the town. 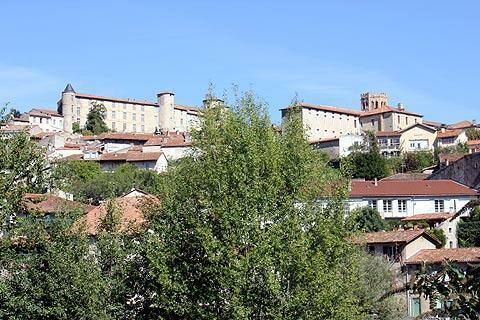 The Bishop's Palace in Saint-Lizier (the large building that stands within the walls above the village) is now the Ariege departmental museum, with archaeological artefacts and also many items and paintings from the region as well as various temporary exhibitions. Admission charge around 5 euros. 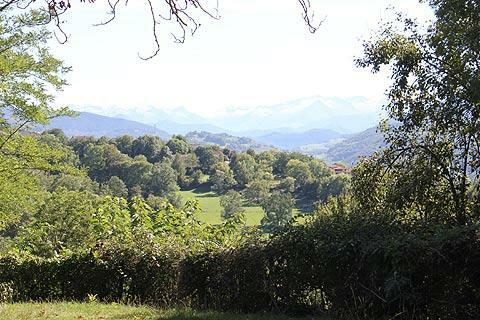 From the front of the Bishop's Palace you can also follow a quiet path to the Pouterolles Cross, from where there are lovely views across to the snow topped mountains of the Pyrenees. Although facilities in Saint-Lizier are quite limited there are small shops selling local arts and also a cafe with an attractive shady area (across the square from the Cathedral of Saint Julien) where it was very pleasant to relax after exploring. One other small but perfectly formed highlight in Saint-Lizier is the small 'Chapel Notre-Dame du Marsan', with a statue of the Virgin Mary looking out from the tranquil setting across miles of scenic countryside - the chapel is also a well known pilgrimage centre, above all at Pentecost. Saint-Lizier falls within the Natural Regional Park of the Ariege Pyrenees. With the Pyrenees as backdrop, the parc has many opportunities to enjoy outdoor activities and natural highlights among its lakes and mountains, cirques and forests - hikers will find a great deal to discover in the higher areas. If you are visiting in spring the Cascade d'Ars waterfall is very impressive. Enthusiasts of roman style churches will also enjoy visiting the churches at Montgauch, Luzenac, Castillon, Ourjout, Soueix and Combelongue - all within a few kilometres of Saint-Lizier and together making a very pleasant afternoon trip. 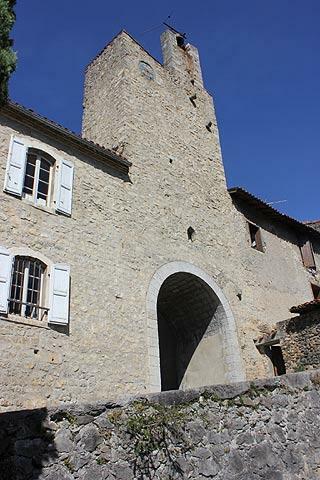 Among the towns and villages in the area, we enjoyed strolling around the medieval villages at La Bastide-de-Serou and Le Mas-d'Azil (both to the east of Saint-Lizier), and the Tour de l'Avantes starting from nearby Montjoie as well as a walk along the riverside in Saint-Girons.